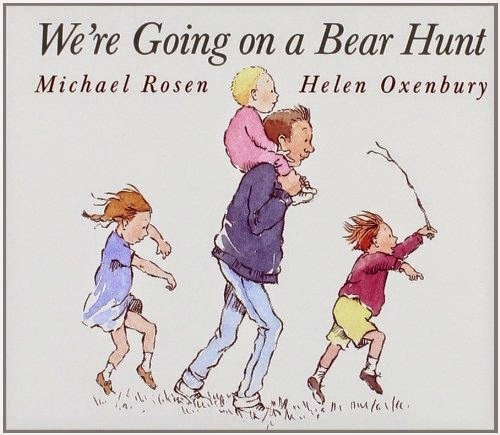 This week for tot school and our toddler book club we will be focusing on bears! 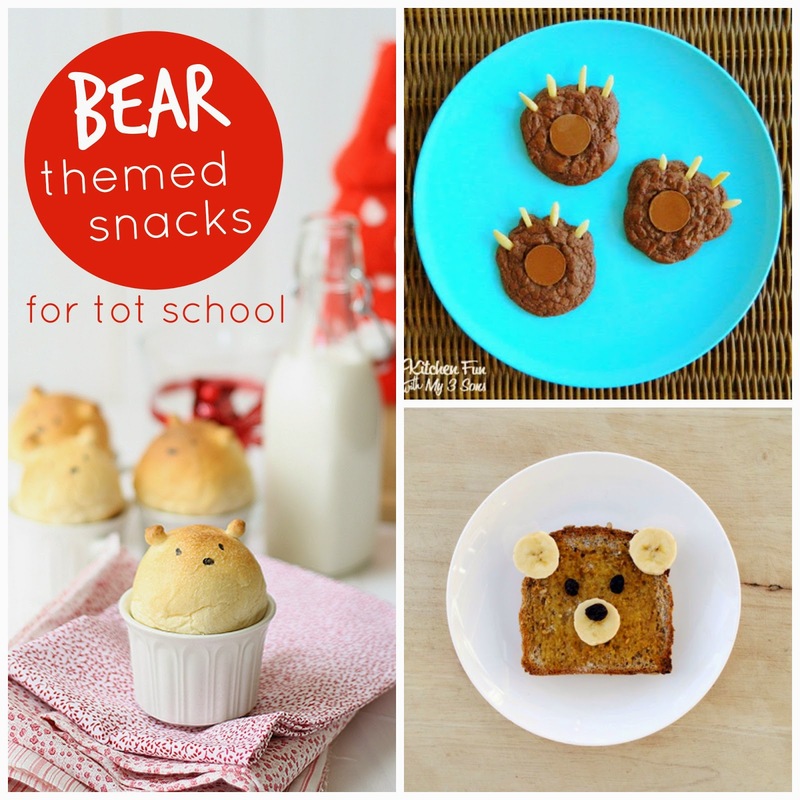 Bears are a fun theme during the winter time because you can talk all about hibernation! You can also tell the kiddos all about Paddington Bear since the movie just came out! 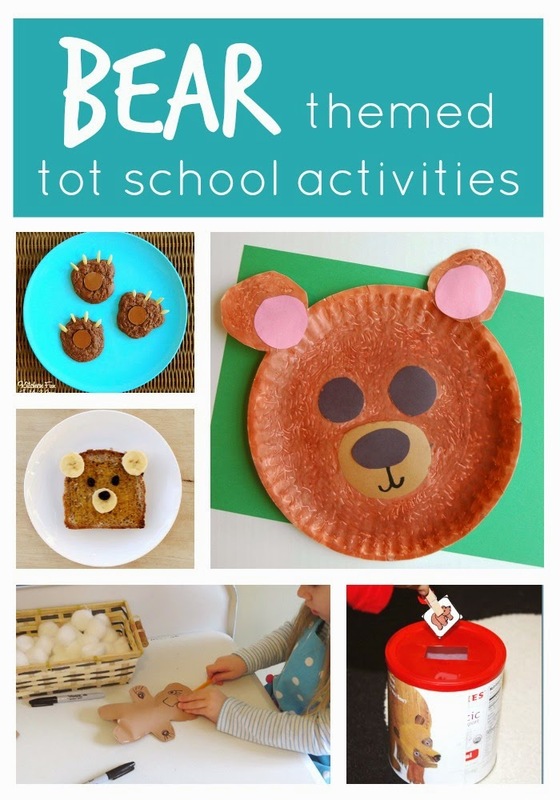 I have had so much fun exploring simple bear activities and gathering some favorite bear books to share this week! If you missed any of our previous January tot school themes you can find them here: snowman & mittens. I am trying to do 3-4 tot school themed weeks a month. I love spending time with my toddler being creative, having fun, and reading books. We either do tot school two days a week or we do a simple activity and snack each day. You can structure it however you want but my goal is to spend a little extra time with my toddler each week doing something fun and learning something new! Each week we'll feature a children's book or two (or four) during tot school. We'll also include several activities, crafts, and snack ideas. You can click on the links below for more details on each activity. Many of these ideas come from several of our favorite blogs. You can also check out more winter craft ideas on our winter crafts and activities pinterest board. Monday- My big kids had no school! Fuzzy Brown Bear craft from Cutting Tiny Bites. 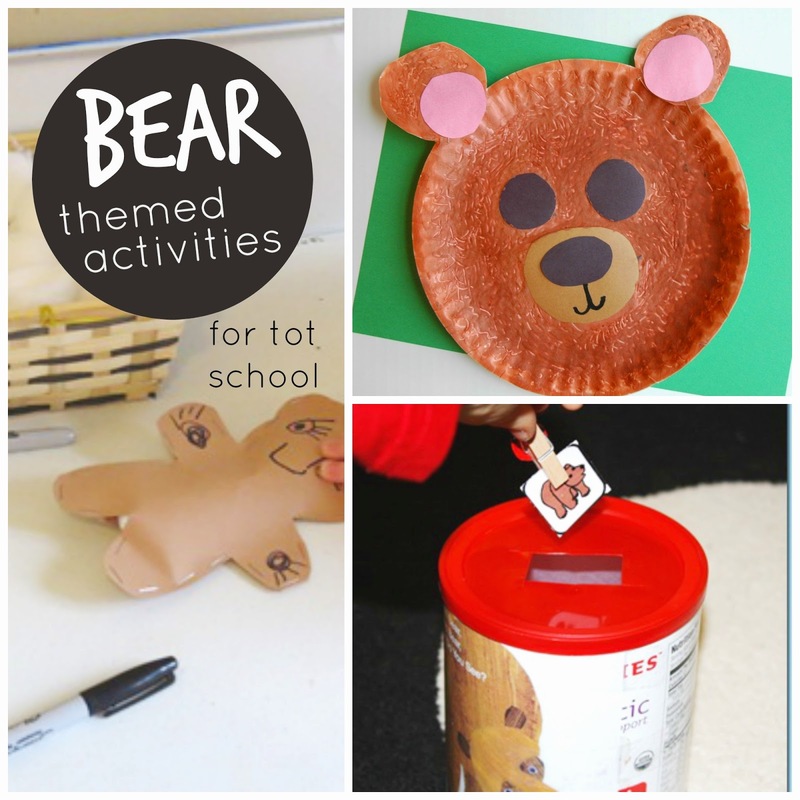 We will also be sharing a Bear photo hunt and a teddy bear collage craft later this week! Do you love bears? 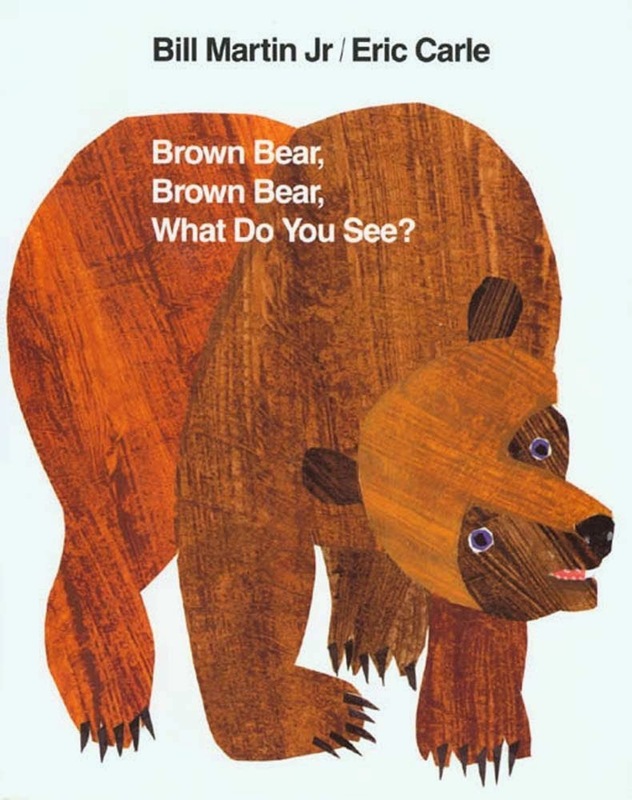 Have any other favorite brown bear themed activities, books, or snacks you can share with us? 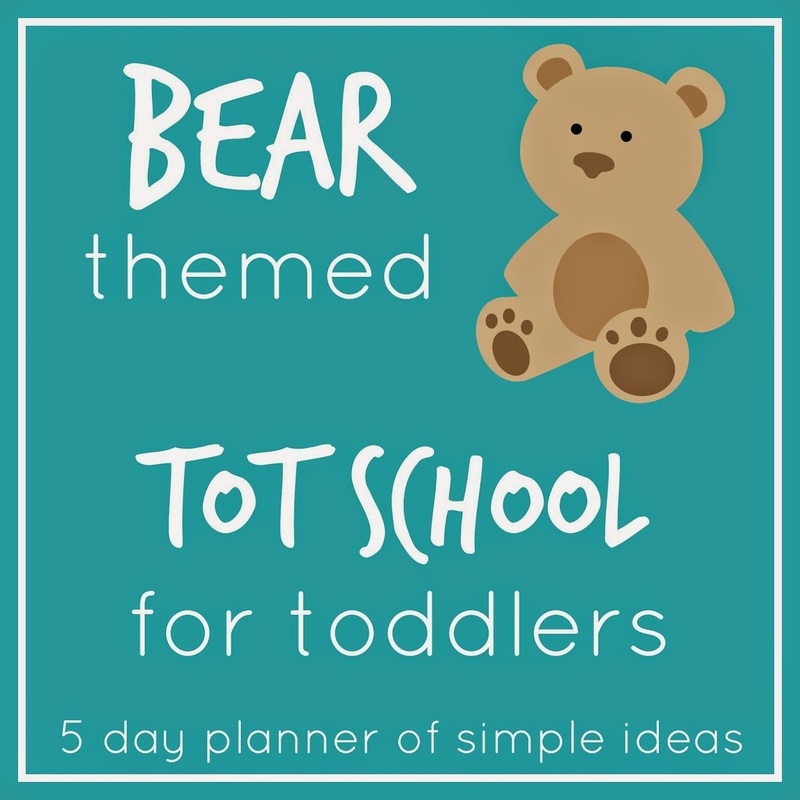 Come check out all of our tot school ideas as I collect them on our Tot School pinterest board that I am just starting.